Works as Chartered Counselling Psychologist at First Psychology Centre, Glasgow. Dr Carly Malcolm is an experienced chartered counselling psychologist who works with adults, couples and children (age 8+) with a wide range of issues and problems. Some of the issues Carly works with include: depression and mood issues; anxiety related issues (social anxiety, obsessive compulsive disorder (OCD), generalised anxiety disorder, panic attacks, phobias, trauma / PTSD); relationship issues; anger; grief and loss; work / academic related stress; abuse (childhood sexual abuse, intimate partner violence); substance misuse; self-harming behaviours; identity issues; life transitions and change; low self-esteem and assertiveness; and sleep difficulties. In addition Carly offers coaching to individuals who would like to overcome obstacles to achieve their goals. Carly offers a friendly, open approach to her therapeutic work. She works with adults, couples and children on a long-term or short-term basis using evidence-based approaches. These include: Person-Centred Therapy; Cognitive-Behaviour Therapy (CBT); Person-Centred Play Therapy; Schema Therapy and acceptance based approaches; Dialectical Behavioural Therapy (DBT); and Acceptance and Commitment Therapy. In addition, she incorporates elements of Compassion Focused Therapy in her work to help clients develop a more nuturing approach to themselves. Carly works collaboratively with her clients and tailors her approach to fit the needs, goals and preferences of each client. She believes this client-centred approach empowers clients and allows them to reach their full potential. Carly has experience providing therapy to individuals within a number of different settings including schools and universities, voluntary services and the NHS. She also co-facilitated a support group for men and women recovering from eating disorders and provided psychological input to the group using cognitive behavoural therapy enhanced (CBT-E) - a specific form of CBT designed for people affected by food, weight and body image issues. In addition, Carly has experience delivering workshops and teaching input and she presented a poster of her research 'Counselling psychogist's experiences of working relationally with clients who have experienced abuse: an IPA study' at the 2016 Division of Counselling Psychology Annual Conference, for which she won an award. 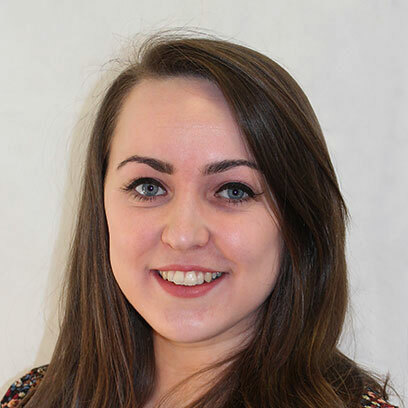 Carly has a Doctorate in Counselling Psychology from Glasgow Caledonian University and a BA (hons) degree in Psychology from the University of Strathclyde. She has undertaken specialist training in Person-centred Therapy and Cognitive Behavioural Therapy (CBT) and has a particular interest in acceptance-based approaches, having undertaken additional training in Acceptance and Commitment Therapy (ACT) and Dialectical Behaviour Therapy (DBT) skills training. Carly is registered with the Health and Care Professions Council (HCPC). She is also a chartered member of the British Psychological Society (BPS) and a member of the Division of Counselling Psychology (DCoP). Carly charges £75 per session for self-funded clients. She also works with clients referred via their employer/organisation – for further details, please visit First Psychology Assistance.